Since visiting wagamama back in 2014, I’ve actually only been back a handful of times to the popular Japanese chain of restaurants since. 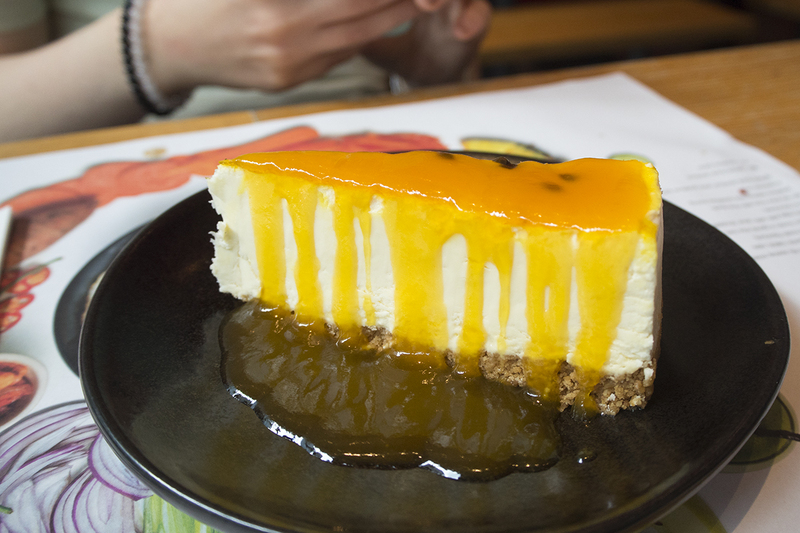 If I’m being completely honest, I was starting to find that the quality had slipped a little and it wasn’t as authentic-tasting as I would’ve liked. I’d had a particularly poor experience in their Trafford Centre restaurant so I wasn’t in a huge rush to go back. But when the Manchester Spinningfields restaurant invited me down to try out some new additions to the menu, I thought this might be a good chance to catch up with my friend Caroline and potentially reignite my love for good ol’ waga. 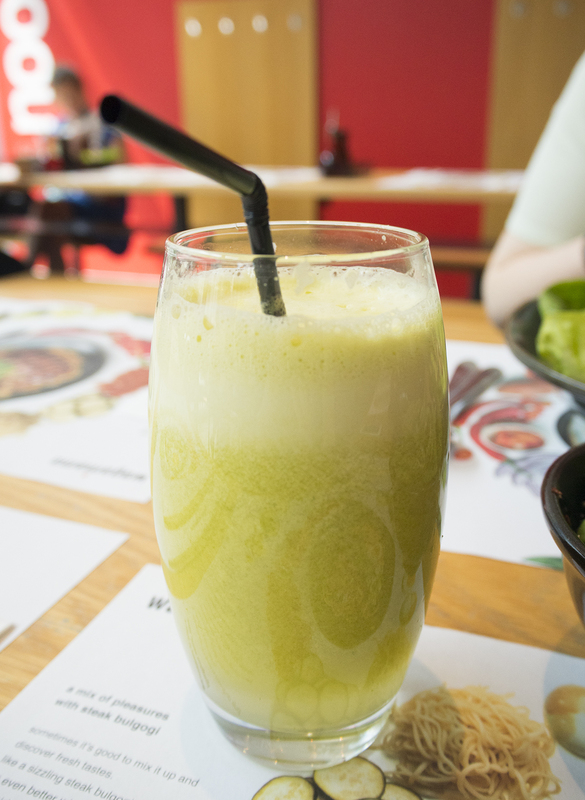 My favourite thing about wagamama is that they have an amazing juice selection. As a girl who doesn’t really touch fizzy drinks, it’s a welcome sight to see 11(!!) fresh juices on their drinks menu. They’re all really tasty too, so make sure to order a large! We kicked things off with a ‘clean green juice’ (avocado, kiwi and apple) for myself and a Diet Coke for Caroline. 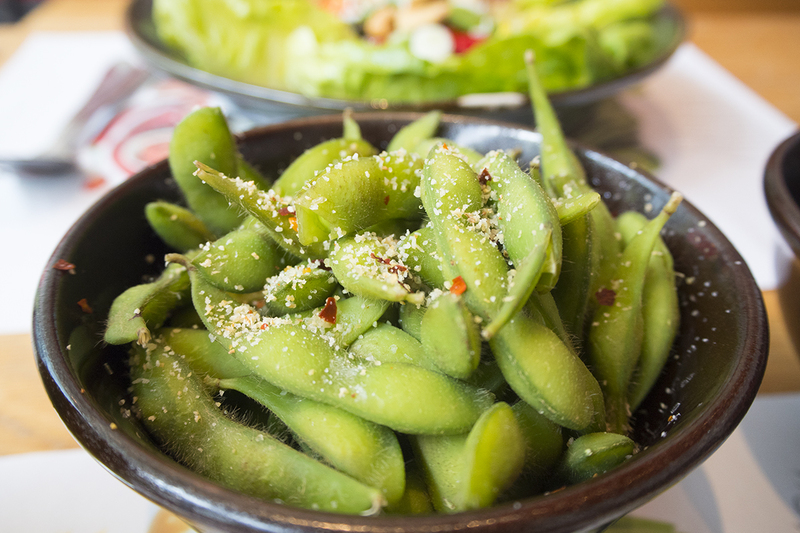 We also thought it would be nice to snack on some edamame beans with garlic & chilli salt whilst we waited for our food. 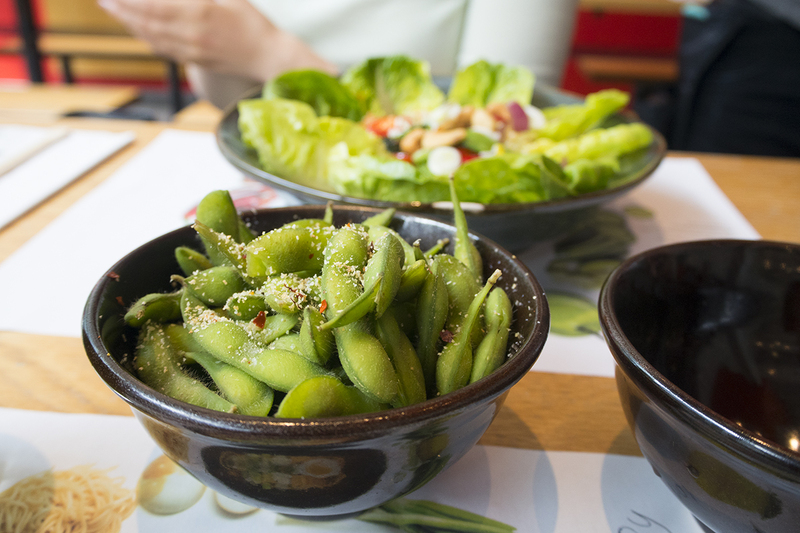 As delicious and moreish as they were, we honestly had no idea how to eat them properly at first and had to Google ‘how to eat edamame beans’ on our phones… oh dear. At least we know for next time! There were loads of dishes on the menu that I could’ve easily wolfed down, but the grilled duck donburi stood out immediately as the one to try. 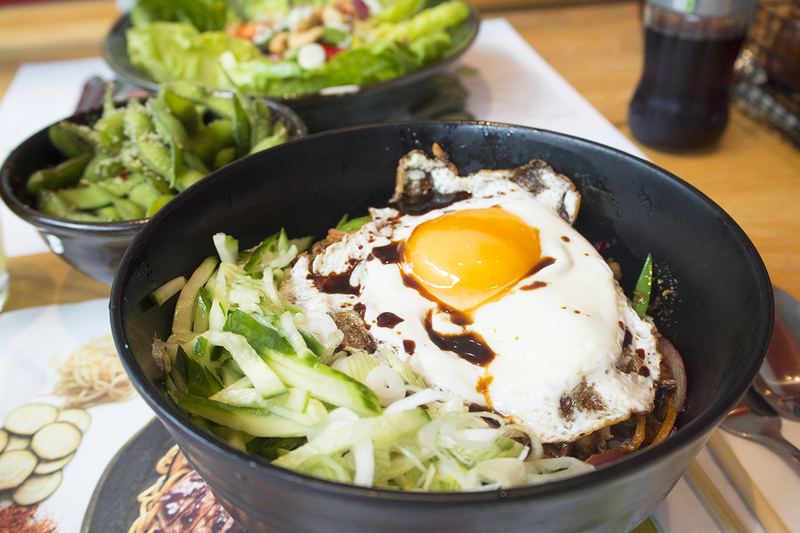 The grilled duck donburi is new to wagamama and consists of tender shredded duck leg in a spicy teriyaki sauce, on a bed of sticky rice with carrots, mangetout, sweet potato and red onion, finished off with a topping of cool shredded cucumber, spring onion and a crispy fried egg. It was hands down the best dish I’ve ever eaten at wagamama! There’s also a steak bulgogi, which looks super delicious if you’re looking to try something new on the wagamama menu. 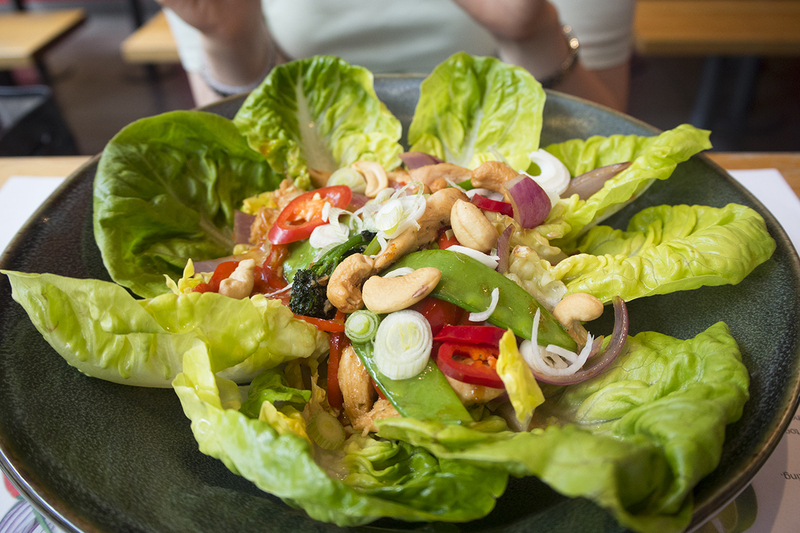 Caroline opted for the warm chilli chicken salad, which is the perfect light lunchtime meal… or just a great way to ensure you have plenty of room for a tasty dessert! We couldn’t leave wagamama and go back to our desks at work without attempting desserts. The chocolate fudge cake with dark chocolate wasabi sauce sounded very intriguing but I went for some raspberry mochi ice cream in the end. 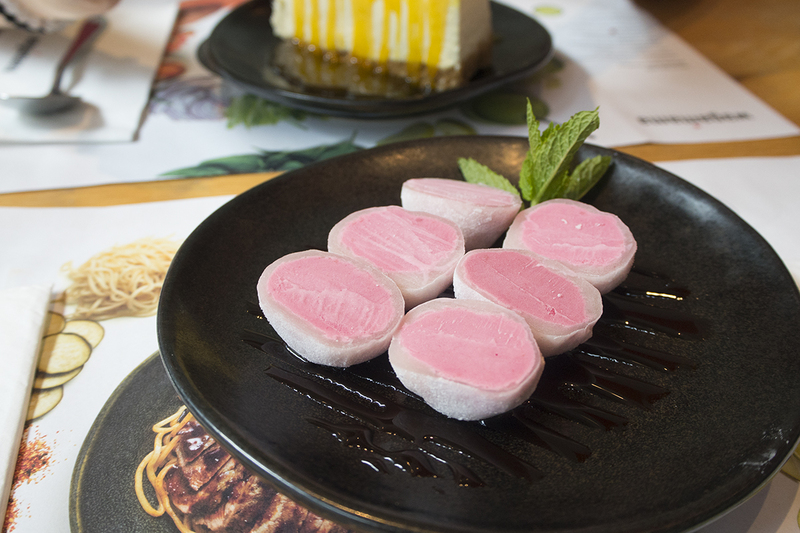 These refreshing pink balls are filled with sweet raspberry ice cream, wrapped in a layer sticky rice and drizzled with chocolate sauce. They’re a bit of a strange texture and an absolute nightmare for my sensitive teeth, but I loved them as a lighter dessert! This visit actually swayed my opinion of wagamama massively. I loved our lunch, particularly the new dishes and generous portions. The service was top notch and the Spinningfields restaurant itself is one of my favourite wagamama’s, as it’s so light, airy and spacious. They’ve definitely won me back as a loyal customer! You can check out the menu for yourself and find your nearest wagamama via their website here. Let me know what your go-to dish is at wagamama in the comments below! Disclaimer: Food & drinks were provided complimentary of wagamama but all thoughts & opinions are my own, as always.